An adorable place. 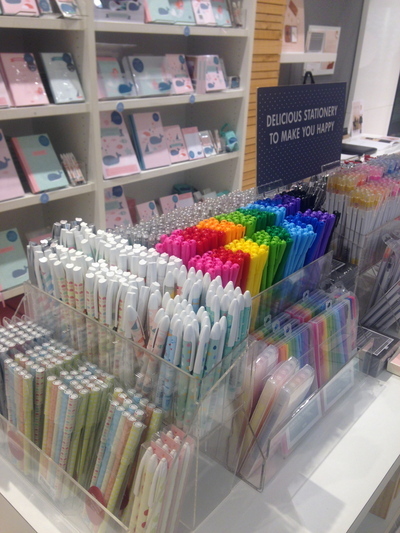 The range of different pens, notes and journals are a combination of cute and inspiring. 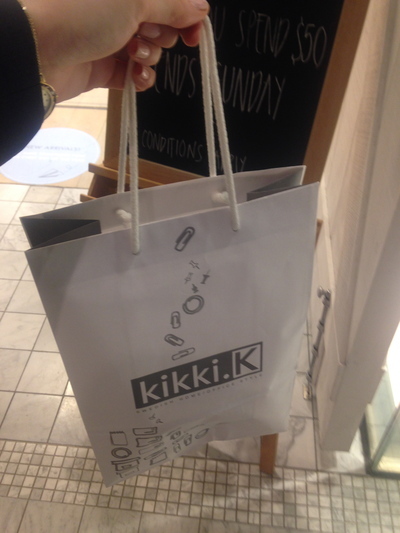 They may seem childish at first, yet people of all different ages and backgrounds are relishing kikki.K, and their store at Westfield Sydney in relaxing in an already chic, fashionable space. Enter in, and you don't feel rushed. 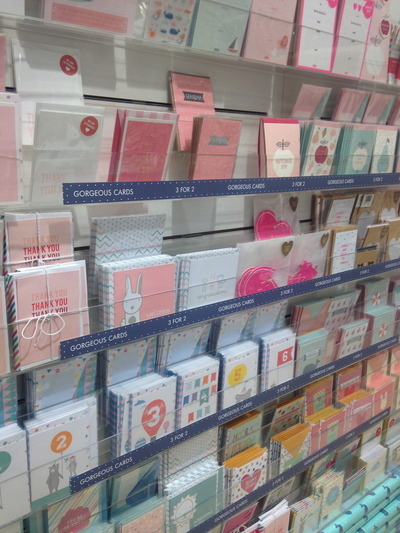 The inspiring cards for all sorts of occasions are located on the left hand side. Like a one stop shop. 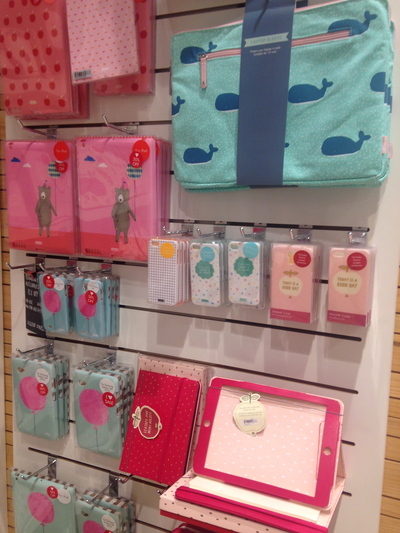 iPad and iPhone covers are also nearby. 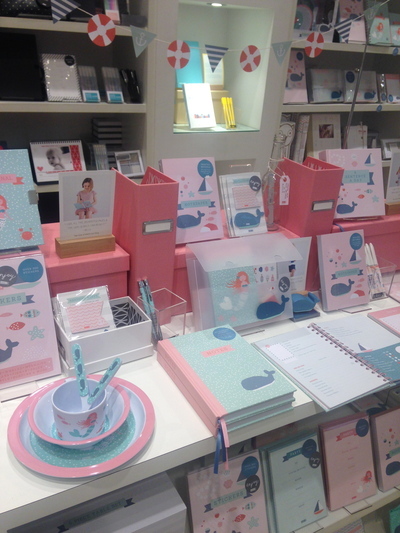 For the latter I've found a better place in Sydney, yet for gorgeous card designs and other inspiring stationery items for the home and/or office, you can't go past Kristina Karlsson. She exudes a happy, positive attitude towards business and life, and it shows in her products. 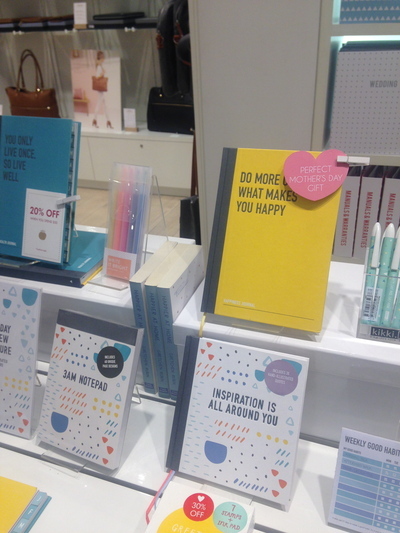 I think (out of all the kikki.K stores I've been to) the one at Westfield Sydney somehow provides the friendliest service, and some helpful advice. They occasionally run happiness and organisation workshops, and the stock is just well displayed. 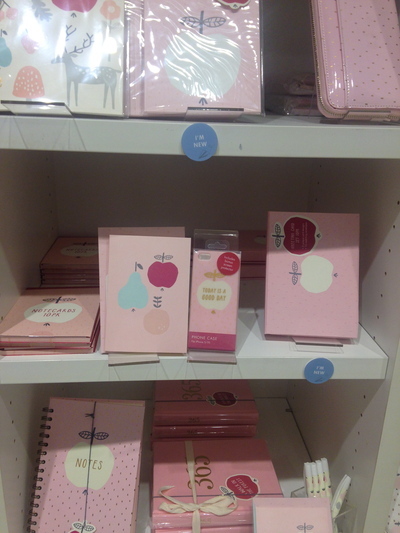 Have purchased gratitude journals here, and at Christmas time last year this store was the perfect place for a 2014 diary. 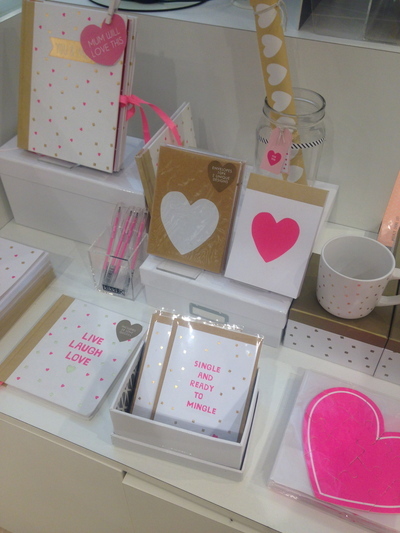 kikki.K diaries have a special offer each month called diary love, and there is always something special to start each month off with. One month I was able to obtain $10 worth of ballpoint pens for free, and the staff member serving me helped me choose some fabulous ones, with messages such as Don't say no, say how that continue to inspire. Something so small that can easily turn a smile on your dial. 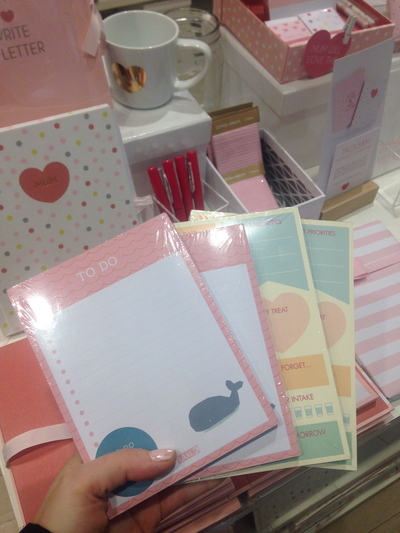 Recently, I took advantage of May's diary love offer, and therefore paid this particular kikki.K store another visit. The offer was that if you spend $20, you get a free to do list notepad. It's not a plain one either, thank you very much. It is full of colour, and it helps you prioritise your tasks. While I was on it, I went on a to do list notepad shopping spree - all in all coming home with over four different and beautiful note pad designs for less than $30. They're designed to last a while too, and so far they're keeping me on track with my priorities even more. Let's work and play in style...amen to that. Just a neat and inviting vibe, while shopping in a luxurious shopping centre that combines food, fashion, home and now stationery love all rolled into one roof. 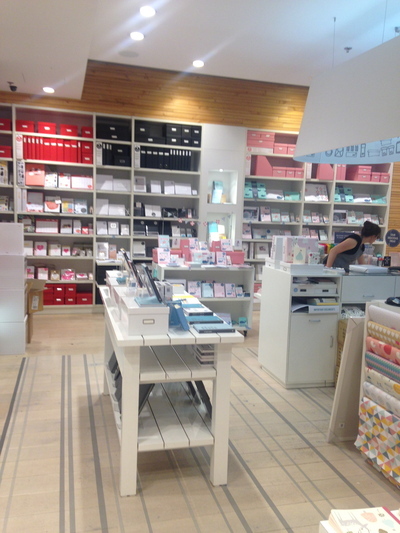 For your home stationery items, and for helping you be more organised in the home - kikki.K Westfield Sydney is the place of the moment. 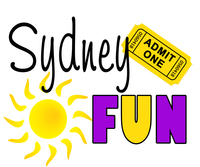 Where: 188 Pitt Street Sydney NSW - Shop 2036. 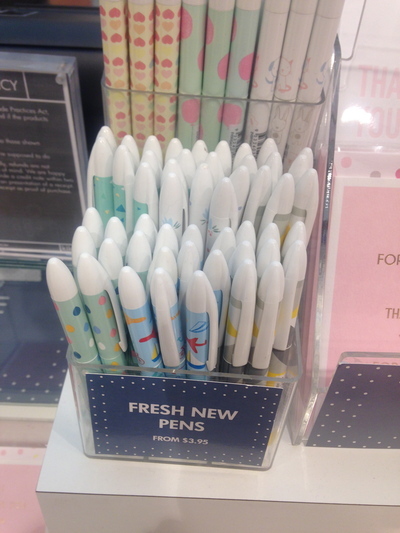 Why: Cool stationery items in an elegant shopping space. Diary lovers, take advantage of this. Cost: Depends on you. I generally don't spend any more than $30 at a time.